The 23-hectare Knowsley Lane site, which sits directly parallel to the M57 along the southern borders of the Knowsley Estate site has been earmarked as perfect for a 16-hectare prestigious employment park and a housing development of approximately 150 new homes. 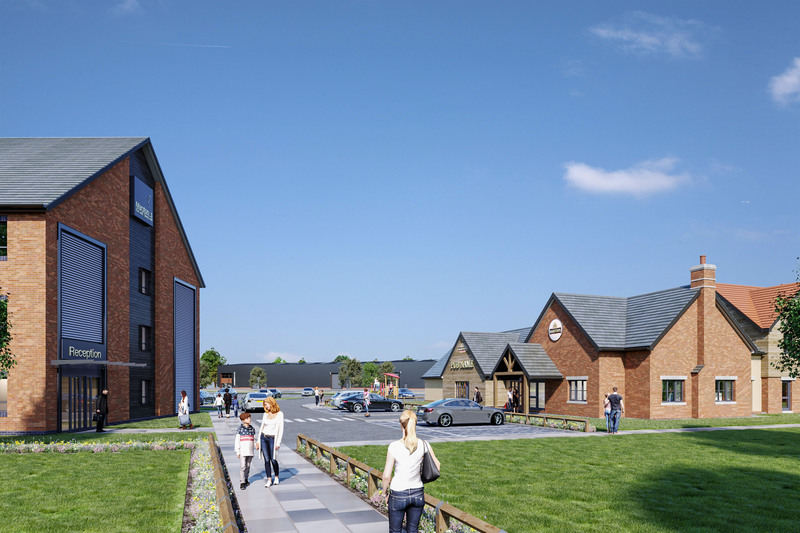 The employment park is set to build on the success of nearby Kings Business Park by complimenting its offering – while the sustainable and high quality family housing will broaden the district’s appeal to families looking to relocate. The ambitious development sits adjacent to the existing Lord Derby Playing Fields and Oak Plantation – areas which will be preserved and improved by Ion to offer an essential recreation space to the residents and workers nearby. The employment park is to be pitched as a ground breaking ‘hybrid’ model where the demand for manufacturing, research and development facilities and sub-regional logistics business space can be fulfilled alongside more traditional office and workshop spaces. High quality landscaping on this semi-rural site, alongside a good leisure, retail and food offering will propound an already attractive offering and is set to entice businesses to the Huyton area. The development plan has been devised in collaboration with Knowsley Council, determined by the council’s ambitious growth plans and the need to ensure the scheme meets local need. The final Master Plan report has been submitted to Knowsley Council to be approved by their Planning Committee, which will allow planning applications to be prepared and submitted for the proposals.